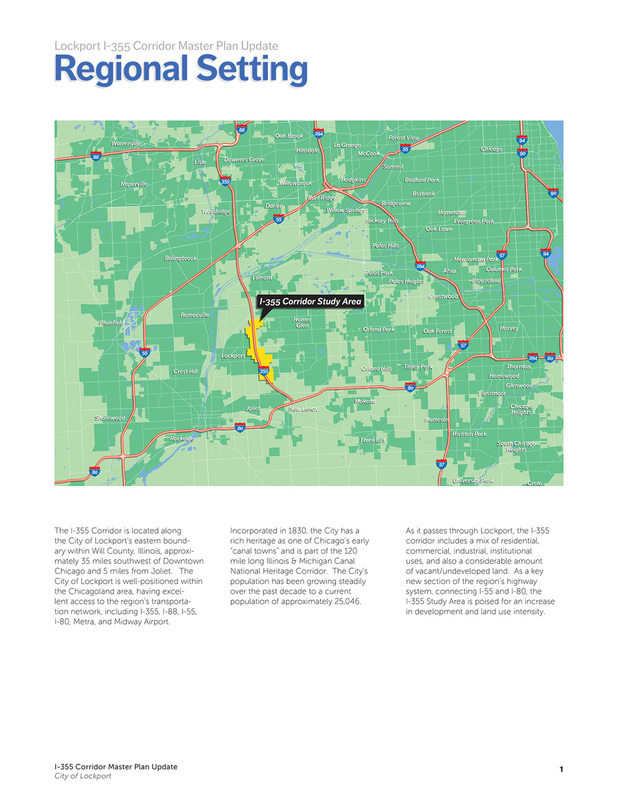 Houseal Lavigne Associates was retained by the City of Lockport to determine the development potential for key locations along the recently expanded I-355 Corridor. 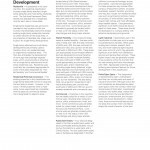 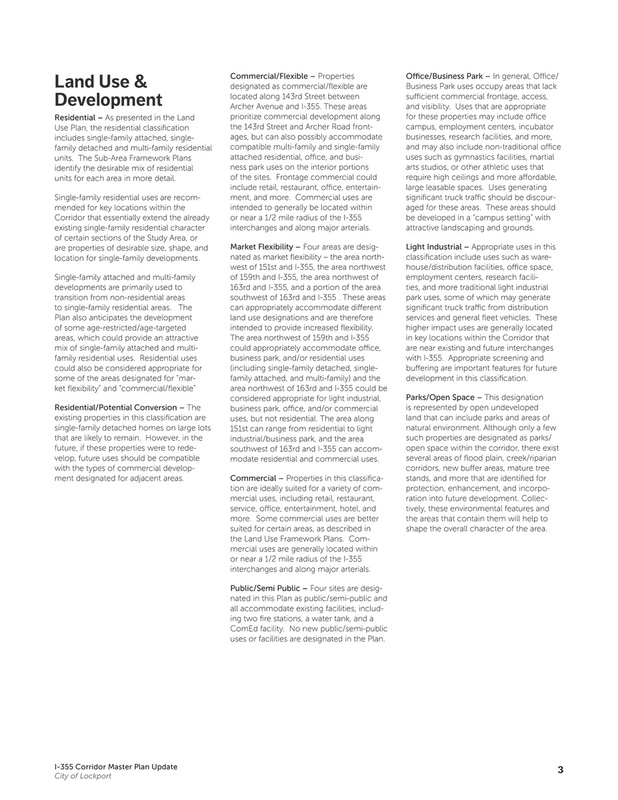 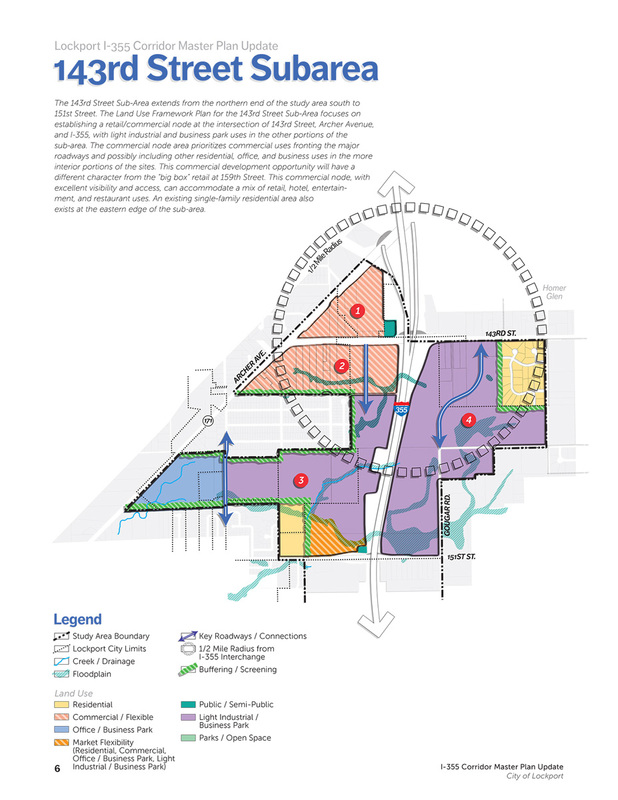 The study identified development by use, location and phasing. 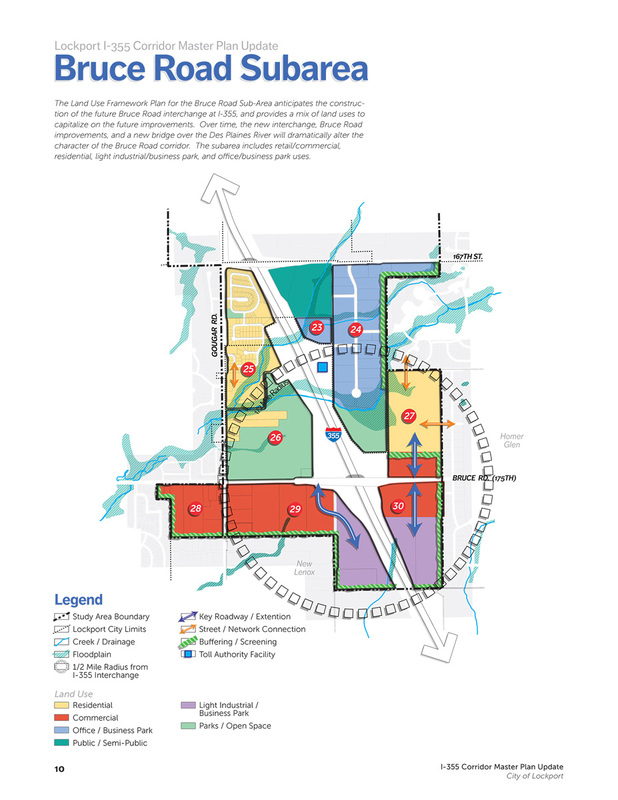 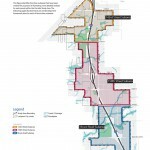 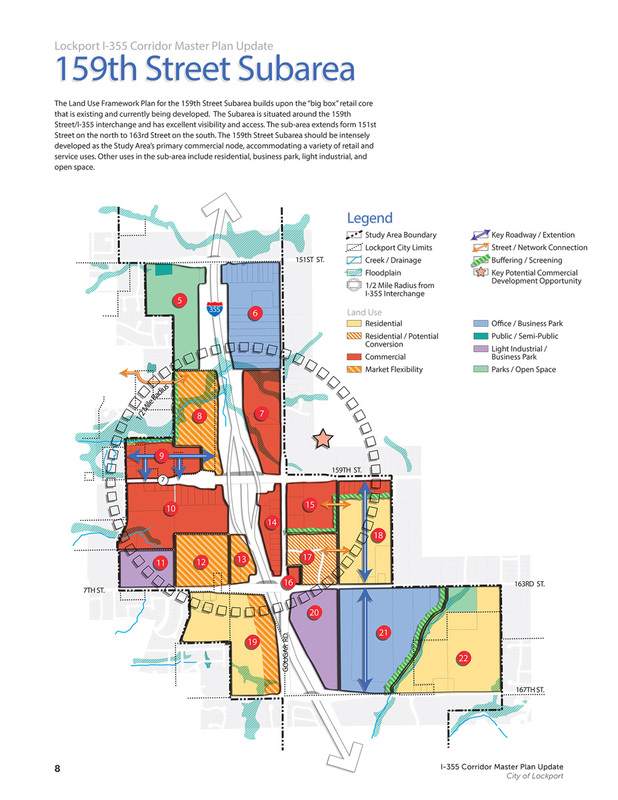 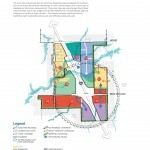 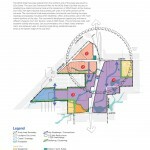 The information was utilized in formulating a long-range development plan for the entire corridor. 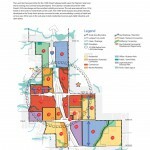 The study involved a detailed analysis of socioeconomic data, growth projections and regional development to determine how the I-355 corridor will function on a regional level and refining how that translates to development opportunities at a localized level. 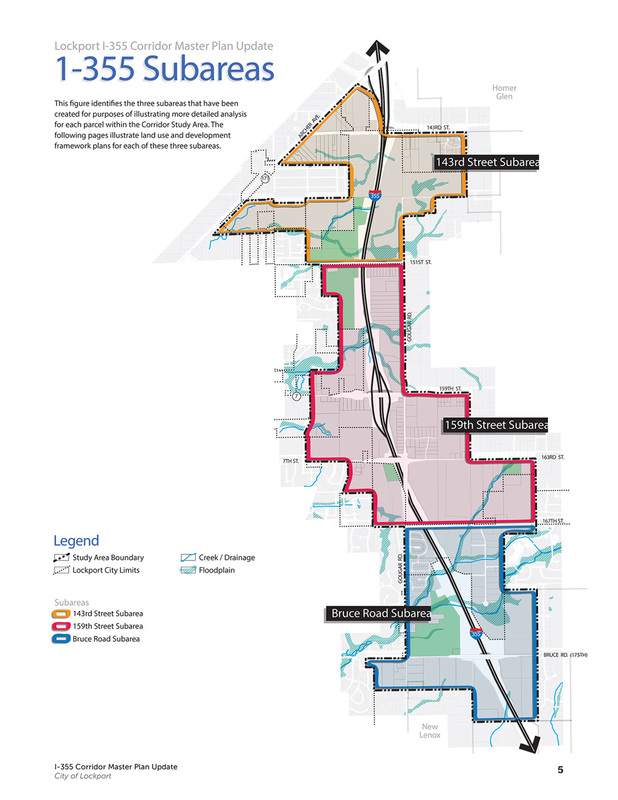 The plan is designed to be utilized for several years in that recommendations pertain to short, mid and long-term development potential.